Many associate Maine with a rugged climate and atmosphere that produces maple syrup and lobsters – and in some respects, they would be correct. However, Maine has advanced past its archetypal economic output to represent a far northern outpost of tourism and recreation for its gorgeous surroundings. Still, Maine keeps in line with the country’s transportation and logistics realms providing a great area of shipbuilding for maritime shipping, once one of the state’s largest economic circuits. For the trucker, Maine recommends Route 9 as a shortcut of sorts to other parts of the US as well as a more expedient route to Canada. In Maine, the trucking industry considers itself more than simply what delivers the daily essentials to communities both in and out of state; it is a main provider of high-paying jobs and a self-sufficient tax paying entity vital to the state's entire infrastructure and economy. Trucks transport over 90% of the state's manufactured goods and over 84% of the nation rely on this industry. Maine's trucking industry relies on good truck drivers to keep their businesses flowing and immediately needs people to fill the range of truck driving opportunities. The U.S. Bureau of Labor Statistics last reported Maine's trucking industry to provide 30,669 (or one out of 16) jobs in the state, in 2008. With the average annual truck driver salary being reported at $36,569, the total trucking industry wages paid out was over $1.1 billion, providing for families all over the state. 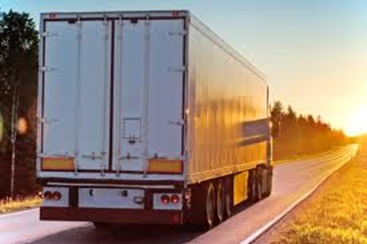 Maine's trucking industry is also a creator and supporter of small businesses. With 7,323 trucking companies located in the state, most of them are small locally owned businesses supported by a range of businesses both in and out of state. With these figures, it is no surprise that Maine's trucking Industry is constant main line of trucking jobs. In addition to offering competitive wages, benefits and upward career opportunities to new drivers, Main is also a state committed to the upkeep of its highways and the safety of its drivers. Maine's Motor Association is an advocate of safety incentives such as Sharing the road (sending teams of professional drivers to educate communities on sharing the road with truck drivers) and Safety First, investing in improved driver training, advanced safety technologies and industry safety initiatives. Maine may not be that big in size, but it does offer tons of truck driving opportunities and tons of reasons you should take advantage of them. The first-step in any job search is a good strategy and knowing where to look. If you are on-line, right here on a website like TruckDrivingJobs.com, than you have already taken the first major step. Not only do we provide you with immediate access to truck driver jobs all over Maine, we help you customize your preferences to your experience and start applying to your ideal employers without wasting time. We are up to date with all the latest job postings and in sync with the way truck driving companies do business and do their hiring these days - on-line. The cities with the most trucker jobs in Main are Portland, Lewiston and Bangor but there are numerous other jobs scattered throughout the state. It's up to you decide your preference of locations, the type of trucking job you seek and if you are willing to up your qualifications to increase your options and potential of pay. Maine has plenty of trucking jobs waiting for you and we are right here to help you get your career in gear, starting today. Below are list of companies currently hiring within maine. Call 207-985-7553Based out of Kennebunk, B & B Johnson owns 834 trucks and primarily transports Household Goods. Call 207-733-2179Based out of Trescott, W William Anderson owns 602 trucks and primarily transports Logs, Poles, Beams, Lumber, Building Materials, Machinery, Oversized loads such as Farm Mining or Oilfield equipment, Grain, Feed, Hay, Dry Van, Farm Supplies, LIVE LOBSTER. Call 207-505-1191Based out of Thorndike, T W Trucking owns 640 trucks and primarily transports regular Flatbed & Reefer loads, Logs, Poles, Beams, Lumber, Building Materials, Paper Products. Call 207-444-5109Based out of Wallagrass, E C & Sons owns 355 trucks and primarily transports Logs, Poles, Beams, Lumber, Construction equipment. Call 207-434-2678Based out of Jonesboro, Karen J Greely owns 305 trucks and primarily transports Construction equipment. Call 207-327-1645Based out of Hudson, Iii Generation Carpentry owns 867 trucks and primarily transports Building Materials, Dirt & Gravel. Call 207-938-2661Based out of Hartland, E W Littlefield owns 314 trucks and primarily transports Logs, Poles, Beams, Lumber, Building Materials, Machinery, Oversized loads such as Farm Mining or Oilfield equipment, Construction equipment. Call 207-989-6140Based out of Brewer, A J Scott Systems owns 181 trucks and primarily transports Machinery, Oversized loads such as Farm Mining or Oilfield equipment. Call 207-726-4700Based out of Dennysville, S J Hoche owns 593 trucks and primarily transports Petroleum Gas & Natural Gas, Toxic Materials. Call 207-532-2121Based out of New Limerick, E W Nightingale & Sons owns 891 trucks and primarily transports Fresh Produce, Farm Supplies. Call 207-793-2636Based out of Limerick, C & L Gray Trucking owns 570 trucks and primarily transports Construction equipment. Call 207-963-2614Based out of Gouldsboro, Karen Manning owns 240 trucks and primarily transports SEA URCHINS. Call 207-342-2211Based out of Belmont, T S C Transportation Services owns 168 trucks and primarily transports regular Flatbed & Reefer loads, various metals such as Brass, Titanium, Copper, Iron, Logs, Poles, Beams, Lumber, Building Materials, Fresh Produce, Intermodal Containers, U.S. Mail, Refrigerated Food, Beverages, Paper Products. Call 207-498-8390Based out of Connor Twp, Nancy Mcatee owns 166 trucks and primarily transports Construction equipment. Call 207-457-9180Based out of Lebanon, D H Patterson Enterprise owns 981 trucks and primarily transports Dirt & Gravel. Call 207-863-2569Based out of Vinalhaven, F-v Redeemed owns 257 trucks and primarily transports Refrigerated Food. Call 207-252-2775Based out of So Berwick, M C Gove Construction owns 508 trucks and primarily transports Construction equipment, Dirt & Gravel, STONE flooring & asphalting supplies. Call 207-439-1799Based out of Kittery, B D C Enterprises owns 396 trucks and primarily transports Construction equipment. Call 207-247-5300Based out of Waterboro, A B L owns 511 trucks and primarily transports GOLF CARTS. Call 207-897-5711Based out of Livermorefalls, Pallet One Of Maine owns 94,434 trucks and primarily transports Logs, Poles, Beams, Lumber, WOOD wooden pallets, LUMBER. Call 207-897-3848Based out of Livermore Falls, Val L Nichols owns 385 trucks and primarily transports Fresh Produce, Petroleum Gas & Natural Gas, Meat, Refrigerated Food, Beverages. Call 207-929-3700Based out of Hollis Ctr, Eagle Industries owns 391 trucks and primarily transports various metals such as Brass, Titanium, Copper, Iron, METAL FABRICATION. Call 207-865-4132Based out of Freeport, D & B Fire Equipment owns 100 trucks and transports all kinds of freight. Call 207-323-2389Based out of Appleton, Earl Norwood Iii owns 135 trucks and primarily transports Dirt & Gravel. Call 207-532-4717Based out of Linneus, S T F owns 147 trucks and primarily transports Logs, Poles, Beams, Lumber, Building Materials, Farm Supplies. Call 207-490-5611Based out of Sanford, B L Hollis Trucking owns 982 trucks and primarily transports regular Flatbed & Reefer loads, various metals such as Brass, Titanium, Copper, Iron, Building Materials, Machinery, Oversized loads such as Farm Mining or Oilfield equipment, Fresh Produce, Grain, Feed, Hay, U.S. Mail, Refrigerated Food, Beverages, Paper Products. Call 207-721-0875Based out of Harpswell, J C Hurd Construction owns 288 trucks and primarily transports Logs, Poles, Beams, Lumber, Building Materials, Construction equipment, FIREWOOD. Call 207-693-6411Based out of Casco, Inner Space Services owns 627 trucks and primarily transports Construction equipment. Call 207-622-4454Based out of Weeks Mills, Olin Charette owns 263 trucks and primarily transports Machinery, Oversized loads such as Farm Mining or Oilfield equipment, Grain, Feed, Hay. Call 207-474-2342Based out of Skowhegan, Investment Recovery owns 910 trucks and primarily transports Car hauling, RECYCLABLE PAPER & METAL. Call 207-365-4584Based out of Sherman Mills, Vaughn L Sleeper owns 612 trucks and primarily transports Fresh Produce, Grain, Feed, Hay, Farm Supplies. Call 207-895-3538Based out of Grand Isle, Omer J Dionne owns 906 trucks and primarily transports Farm Supplies. Call 207-897-4468Based out of Kents Hill, Van Vandenbosch owns 237 trucks and primarily transports Logs, Poles, Beams, Lumber. Call 207-943-2664Based out of Lagrange, Vaughn J Lancaster owns 901 trucks and primarily transports regular Flatbed & Reefer loads, Logs, Poles, Beams, Lumber. Call 207-439-0853Based out of Eliot, A C M Construction Co owns 407 trucks and primarily transports HOTTOP Dirt & Gravel/STONE. Call 207-469-3274Based out of Orland, S E S Com owns 284 trucks and primarily transports Petroleum Gas & Natural Gas, Toxic Materials. Call 207-484-1399Based out of New Sweden, Vayne V Bither owns 899 trucks and primarily transports Construction equipment. Call 207-796-2666Based out of Grand Lake Stream, Earl E Bailey owns 584 trucks and primarily transports Sand,Dirt & Gravel. Call 207-767-4025Based out of So Portland, M L Stewart Trucking owns 143 trucks and primarily transports Machinery, Oversized loads such as Farm Mining or Oilfield equipment. Call 207-588-2169Based out of Farmingdale, St Amendment owns 744 trucks and primarily transports Car hauling. Call 207-448-7722Based out of Orient, Vance Johnston Jr owns 756 trucks and primarily transports CRANE CARRIER. Call 207-941-0153Based out of Bangor, B & D Designs owns 135 trucks and primarily transports Building Materials. Call 207-236-4787Based out of Rockport, Farley & Son owns 133 trucks and primarily transports regular Flatbed & Reefer loads, Building Materials, Machinery, Oversized loads such as Farm Mining or Oilfield equipment, Construction equipment. Call 207-564-8534Based out of Sebec, S D R Logging owns 801 trucks and primarily transports Logs, Poles, Beams, Lumber, Machinery, Oversized loads such as Farm Mining or Oilfield equipment.